After a few months of getting family members addicted to my Zobo, my friend M came round one Sunday. All excited to serve a Hausa person my version, I poured out a cup. She tasted and smiled and turned her head, puzzled. No, like fresh ginger just sliced and dried, not powder. And so it was I went to market and surprise, surprise, I found some. The difference in the versions before and after? You smell, taste and feel the ginger. What I mean? 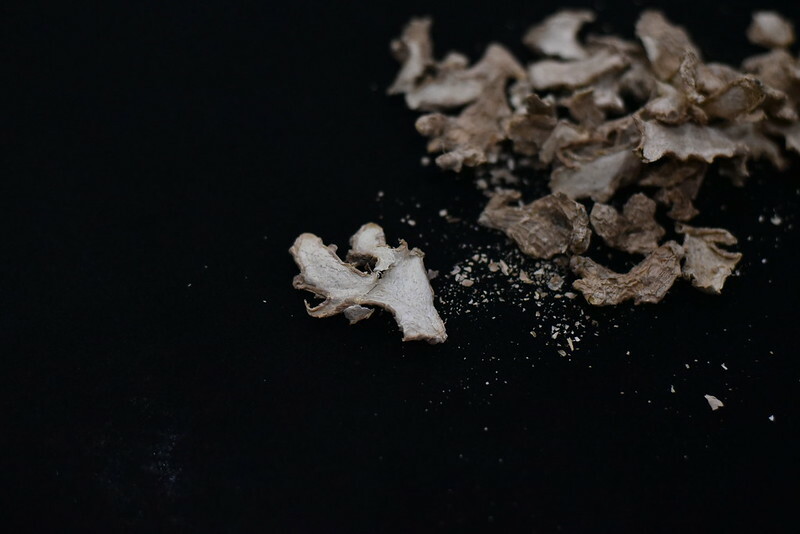 Like portion for like, dried ginger has a deep flavour and taste that lingers compared with fresh. Most of all, there’s a warmth from the dried ginger that hits you in the back of your throat, coursing through your veins :). You’ll find dried ginger at Hausa markets or Spice ‘barrows around Lagos. I’ve done uncountable experiments with Zobo and I’ve learnt a few things. The ratio of flowers to water is key. I use 1 cup of flowers for 2 litres of water. I find my zobo flowers quite sandy. To overcome this issue, I shake the flowers in a bag or cloth so the sand gathers at the bottom. Then I wash. I know, your heart will break when you see the colour seep from flower to water. You’ll wonder how ever, if ever you’ll get a rich drink. Worry not, you will. What I do is have a few bowls with water. I take the same approach as I do with my leafy greens. I put flowers in a bowl, swish the flowers around then lift them up and out. The sand, and sometimes stones pool at the bottom. I lift out as much as I can and then I drain the last bits in a sieve, being careful not to pour the pooled sand. I rinse the portion in the sieve with some water, add it to the bulk of the flowers and repeat the entire process two or three times. Once clean, I soak the flowers in clean water. The same water I’ll brew/ infuse them with. 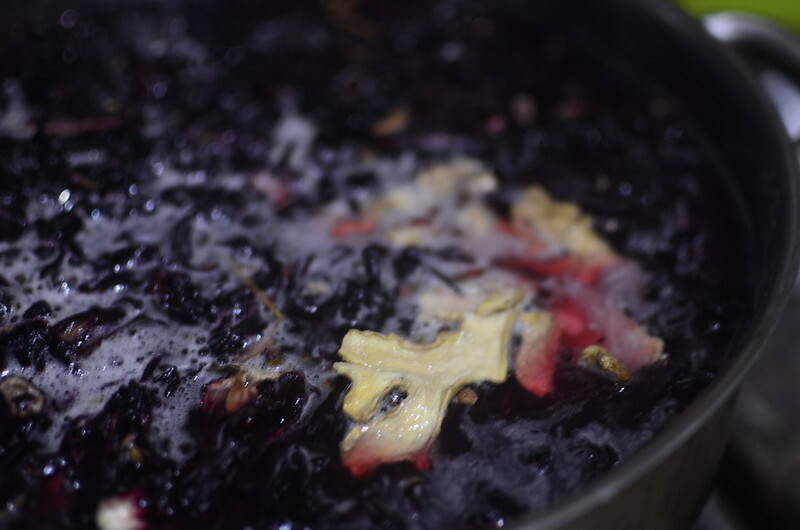 I find the flavour and richness of the flowers improves considerably with an overnight soak. As can be expected. The next morning, after the soak, I set in a pot, with the flavouring. 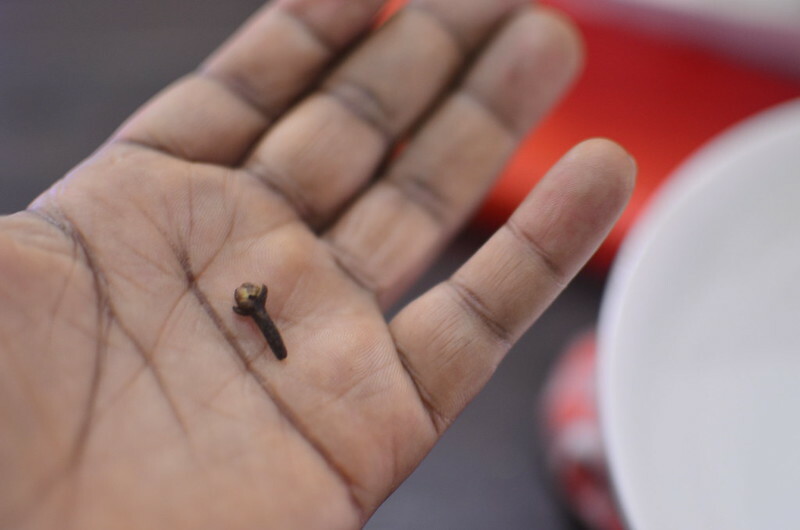 Cloves and dried ginger are my go-tos. They are considered ‘Kayan Kanshi‘, in Hausa/ the Arewa Kitchen – things that smell nice. Because of how flavourful dried ginger is, I don’t discard it after the first use. I remove and store in the deep freezer and reuse till the flavour dulls. 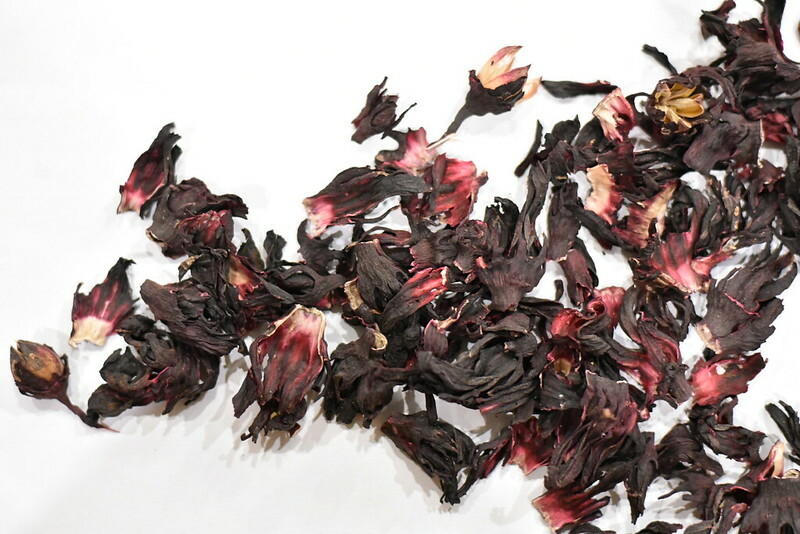 I generally use a 1/2 a teaspoon of cloves and 2/3 slices of dried ginger per cup of zobo flowers. I add fresh ginger sometimes if I want to up the flavours. Once you add sugar to the mix, it begins to ferment so what I always do is separate by zobo and my sweetening (often ginger sugar) syrup. When it’s time to serve, I combine both as desired. My daughter sometimes uses maple syrup, I know others who use pineapple juice – whatever floats your boat! You can make simple syrup by combining equal amounts of granulated (white) sugar and water. My zobo can keep for a week or so in the fridge, and a couple of weeks in the deep freezer. Unfortunately, I can’t give up upper limits because it never lasts that long for us. Never, ever. As soon as we make it, we ‘race’ (well almost, it seems like 🙂 to drink it down!